Stand-up paddleboarding has created a wave of popularity in the United States. This exciting activity is a unique cross between kayaking and surfing. Today, you can enjoy this activity on lakes, rivers, and even oceans throughout the United States and abroad. The appeal stems from the fact that paddleboarding is a simple water activity. It can be performed by a wide assortment of age groups, and it can be performed in any location where there is water. While believed to be practiced by ancient Hawaiians for fishing and transport, it is a new adventure for many. 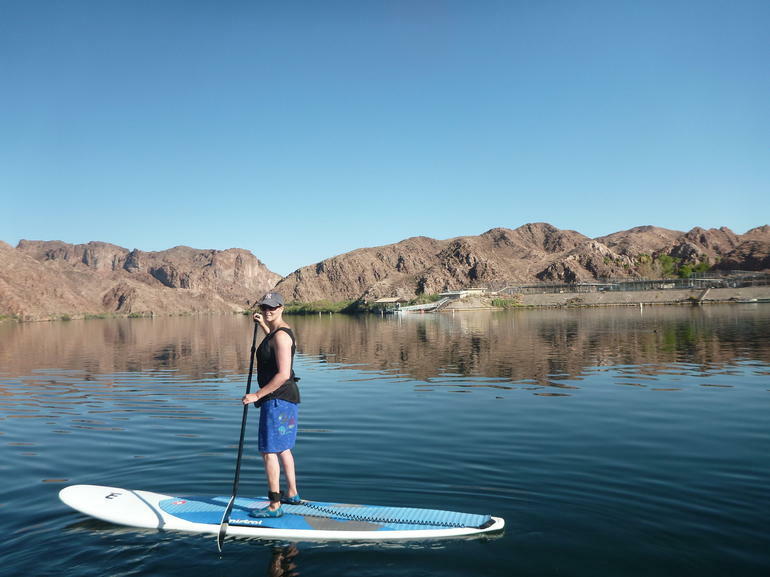 If you are planning a trip to Las Vegas, the Grand Canyon, or any of the surrounding areas, you will be pleased to know that you may now paddleboard among one of the most popular bodies of water in the nation – the Colorado River. Just a few short years ago, individuals that engaged in paddleboarding simply used a modified surfboard. However, as time progressed, these boards were designed to specifically accommodate the stand-up paddleboarders. The board is typically anywhere from 10 to 12 feet, length-wise. It is contoured in such a way that those that stand up on it are able to balance with relative ease. The ocean models are constructed with the same materials that the ever-popular surfboard is composed; however, those paddleboards that are used on lakes and rivers may be different in that the material used is a type of injected plastic or a type of inflatable-ready material. You simply start on your knees. Once you are comfortable, you stand up. If the water is calm, you will find that the task is super simple. As your comfort level increases, you are able to handle currents and other fluctuations in the water. Here is a simple beginner’s guide to paddleboarding. 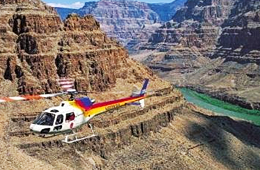 How would you like to experience the mystery and mystique of the Colorado River, while being subjected to amazing desert scenery, wildlife, and plant life? 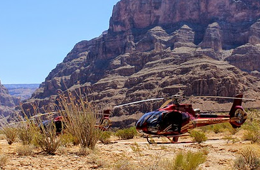 If this sounds appealing, you will absolutely love the half-day Colorado paddleboard experience offered by Grand Canyon Helicopter Tours. This amazing tour initiates with a luxurious pickup from your hotel in Las Vegas. You will then be transported to Willow Beach, which is situated along the Colorado River. 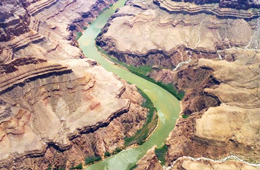 You will receive a short safety training session and then immediately start your journey – which consists of a 2-mile paddle down the Colorado River. 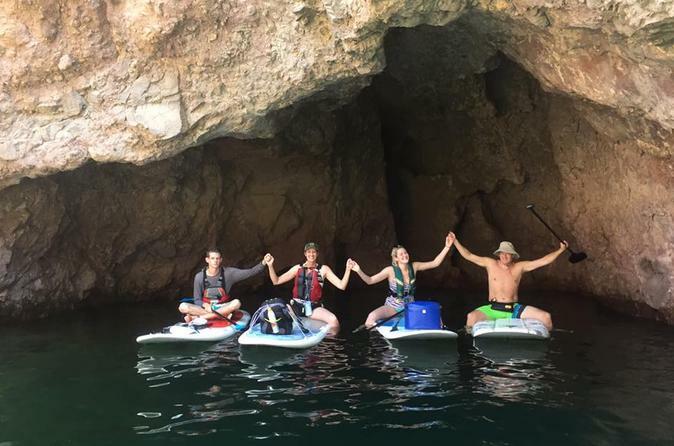 Along the way, you will get to see the historical home site at River Gauger’s, experience amazing wildlife shots of waterfowl, Big Horn Sheep, and other animals, and get secret access to Emerald Cave – a little-known cove where you may swim and take in an immense amount of natural beauty! 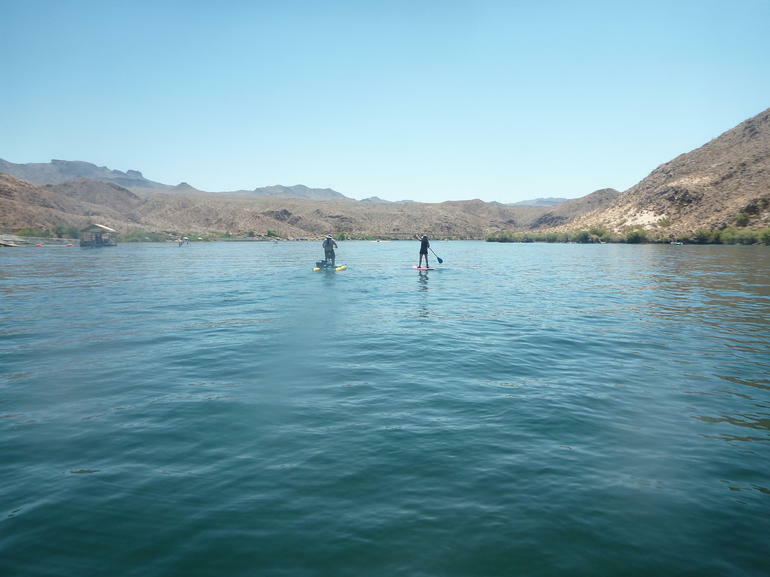 If you are ready to see what the Colorado River has to offer and have a desire to try your hand at paddleboarding, sign up for this amazing tour today!